Commission public art work for London's Latin Quarter to raise the profile of the Latin American community of retailers in Elephant and Caste and enhance the immediate environment. We want to raise the profile of Latin American retailers at Elephant and Castle by commissioning contemporary Latin American public art to provide character and unity to London’s Latin Quarter. 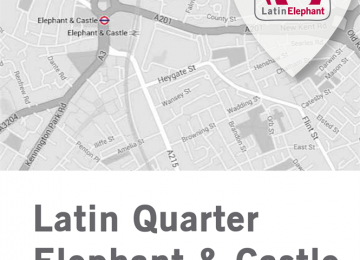 Latin Elephant’s consultation with Latin American retailers and organisations has exposed the desire that exists for a major piece of public art work or sculpture to provide a stronger sense of identity to the Latin Quarter in Elephant and Castle (EC). This can take the form of a permanent bespoke commissioned piece (sculpture and or mural) or as a programme of short temporary installations. Community involvement, engagement and sense of ownership will be guaranteed through a community engagment programme associated with the public art work. 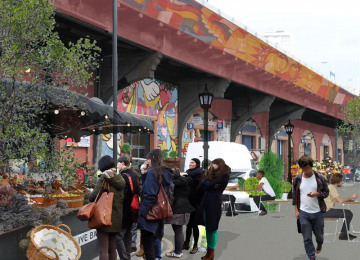 The resulting art work will enhance and improve the immediate environment, potentially increase footfall and draw more visitors to the area bringing lasting benefits to the existing migrant and ethnic businesses in EC. 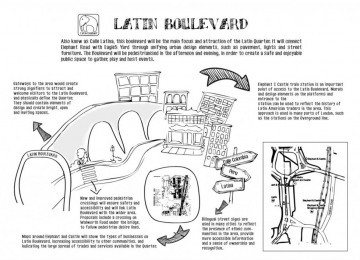 Commission contemporary Latin American artist to produce public art work for London's Latin Quarter. 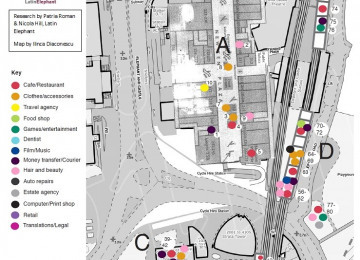 Community Engagement workshops associated with the public art work. The Latin Quarter is one of London best kept secrets. With over 20 years in the making and with more than 80 shops it is a vibrant addition to London’s economy and culture. The regeneration of EC presents challenges and opportunities for Southwark's migrant and ethnic retail population. 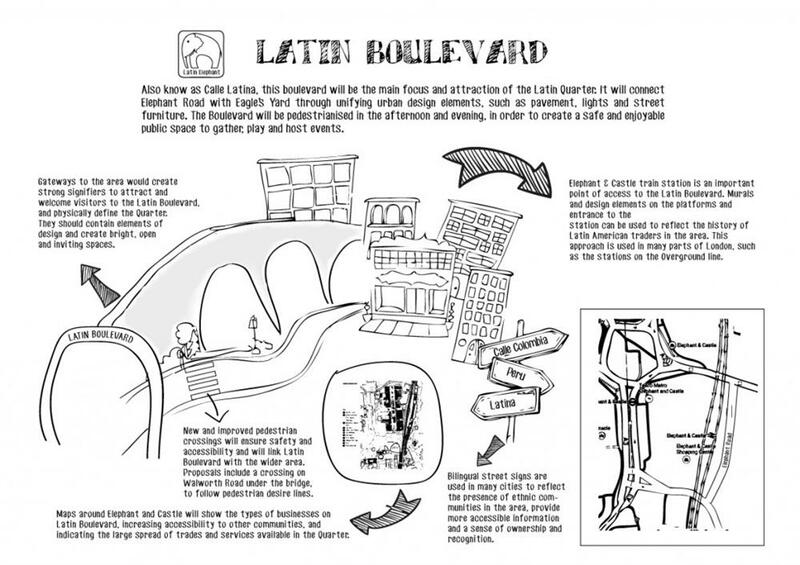 The proposed activity takes forward one project proposal from our feasibility study to enhance London's Latin Quarter. 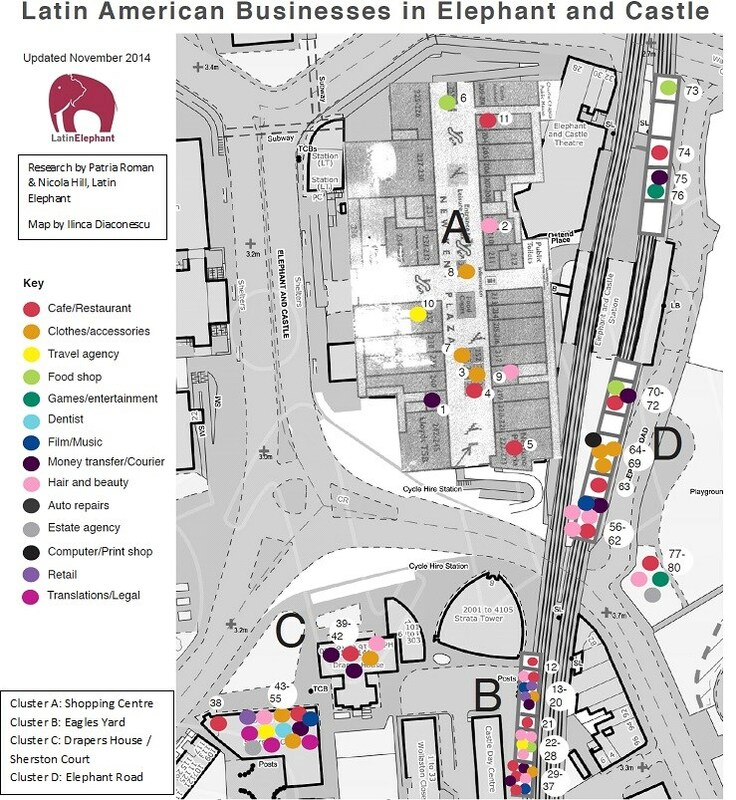 The feasibility study was funded by Southwark Council's High Street Challenge Grant. The principle of the Latin Quarter is to enhance the immediate environment to attract a wider customer base by making it more visible and appealing to new visitors and customers. The commissioned piece and associated activities will provide a vital mechanism for Latin Americans to participate in the process of urban change in what is now a key planning stage at EC. By investing now you will become a stakeholder in London’s Latin Quarter and be part of the driving force behind the community vision. 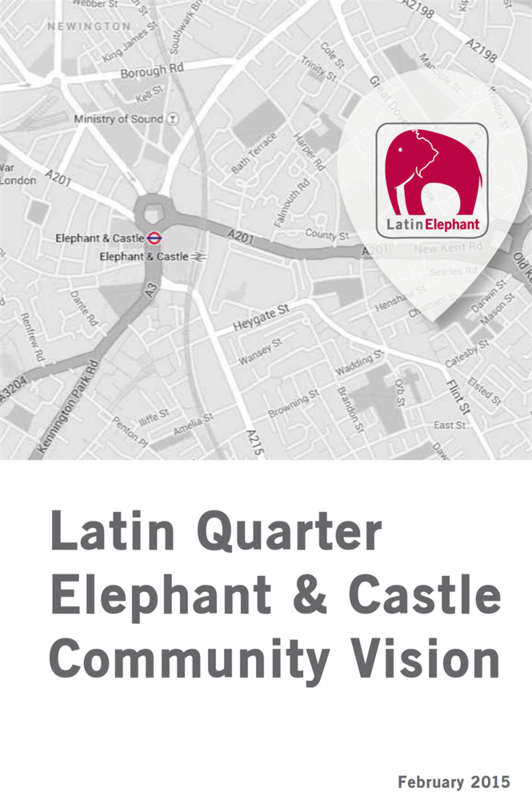 This project draws on consultation with Latin American retailers in EC, the results of which are summarised in Latin Quarter Elephant and Castle Community Vision report (http://latinelephant.org/wp-content/uploads/2015/02/Draft-report-Jan-2015.pdf). 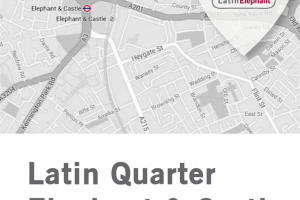 The feasibility of these proposals form part of London’s Latin Quarter Study (in print). 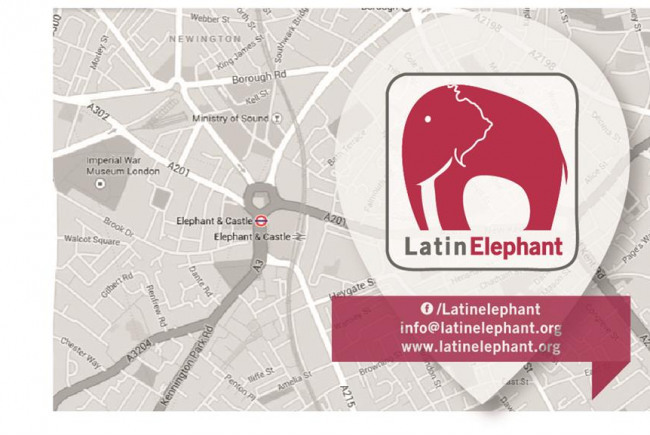 Latin Elephant is a charity that promotes alternative and innovative ways of engaging and incorporating migrant and ethnic groups into urban regeneration processes in London, and in particular Latin Americans. 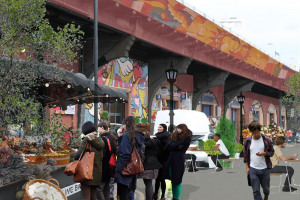 Influencing infrastructure - We work with Latin American retailers, organisations and residents to gather ideas for the improvement of public spaces and liaise with relevant stakeholders to take these ideas forward. Promoting Business Readiness – Latin Elephant aims to strengthen engagement and business readiness for London’s Latin American business community through formal referral mechanisms. Strengthening communities - Latin Elephant organises activities with the aim of bringing different communities together and increasing awareness and use of public spaces where Latin Americans are often underrepresented. 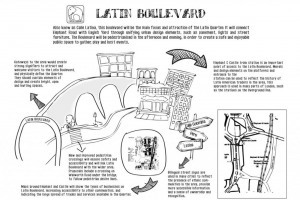 Latin Elephant has been working with local retailers and organisations to inform a vision for the Latin Quarter in EC since 2012. 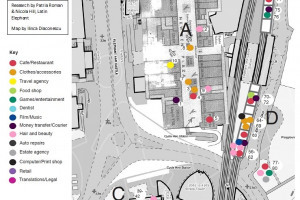 We have produced a map and profile of the Latin American shops at EC and a feasibility study for London's Latin Quarter, including a public realm proposal in partnership with Studio Gil Arquitects. We promote activities and projects that contribute to Latin Americans’ inclusion and sense of belonging in the areas in which they live. We engage with different sectors of the Latin American community in London in response to urban policy and planning applications. We have also established links with other local organisations to make a stronger case about the inclusion of Latin Americans in urban policy frameworks at borough level. We draw on our experience working with Latin Americans in EC to both include and recognise the contribution of migrant and ethnic economies in London, particularly in response to alterations to the London Plan (FALP 2104). Project Delivery Manager: Latin Elephant The Project Delivery Manager takes legal responsibility for receiving and spending the funds raised and ensuring the project is delivered. 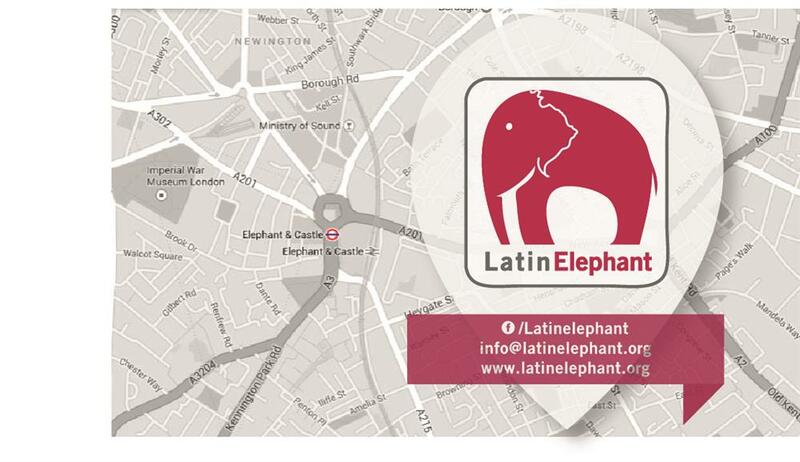 Contractor: Latin Elephant The team responsible for building or installing the project.